An army of ants crosses the trail in a perfect rhythmic line as I walk in the rain forest. While I’m not a big fan of insects, I found this to be astonishing! In fact, I always thought this scenery is a fantasy because it reminded me of the movies, Ants and A Bug’s Life where there were scenes of insects lining up perfectly and walking in a group like an army. 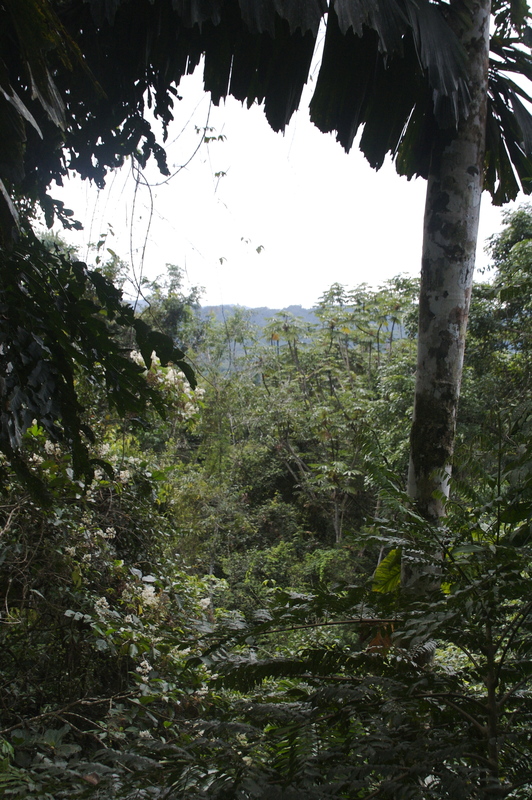 Also, yesterday afternoon, I took a short walk through the rain forest, and I saw an even more astonishing scene! There was an army of ants holding green leaves that were bigger than their bodies! Because ants were so small, it seemed as if the leaves were walking by itself! 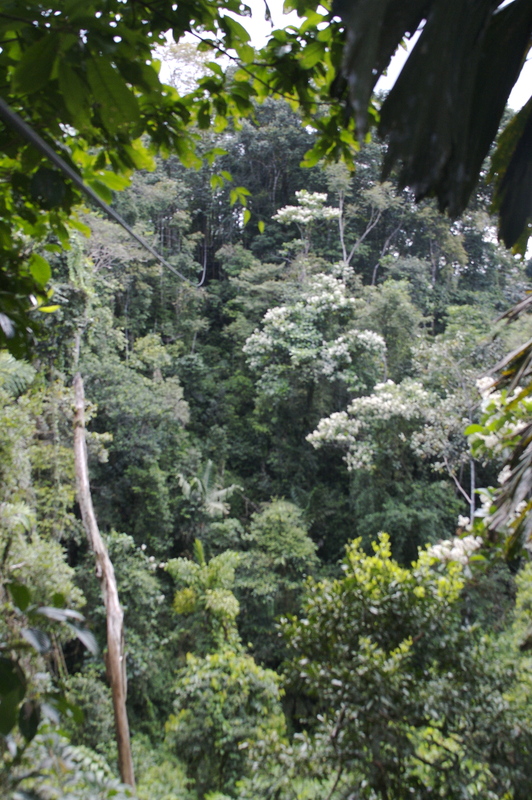 As I screamed high above the trees, I flew on top of the rain forest seeing a beautiful view of blankets of trees and a sky in the horizon. I felt as if I was on top of the world! 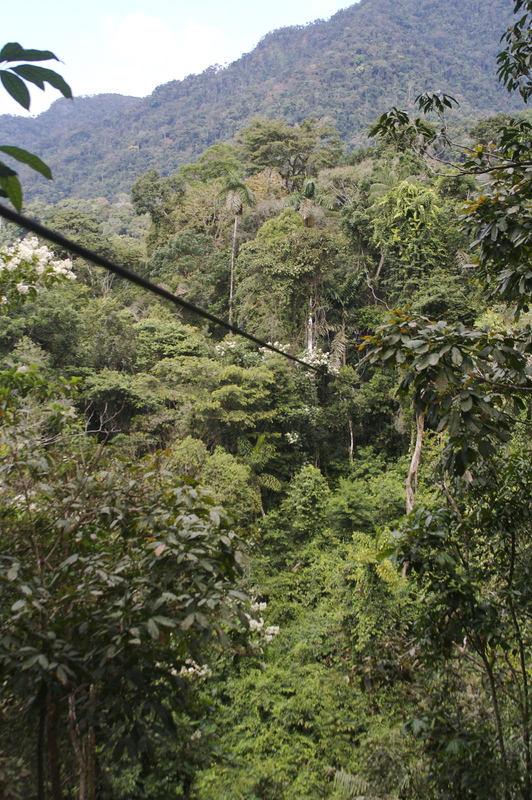 I was zip-lining through the rain forest on several meters worth of ropes! It was such a surreal experience to see everything above the trees and even the sky as I can barely see the sky when I’m in the rain forest! 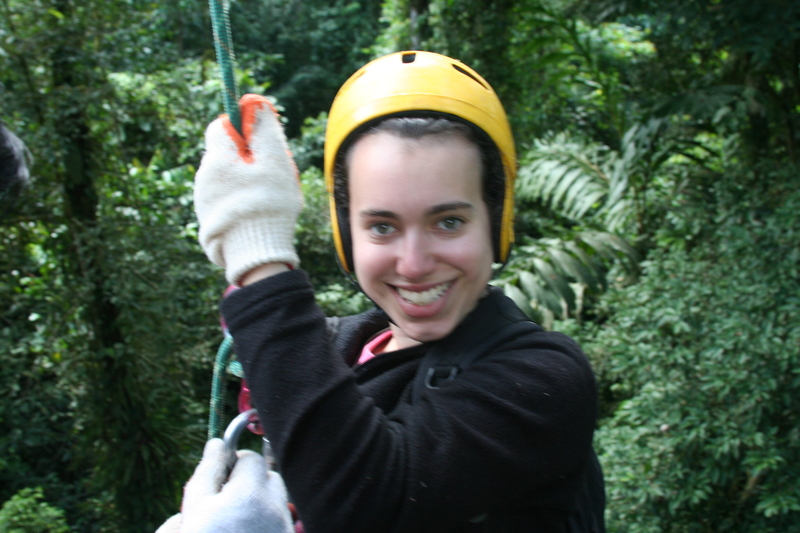 It was such an incredible opportunity to see the rain forest above the trees besides under the trees! 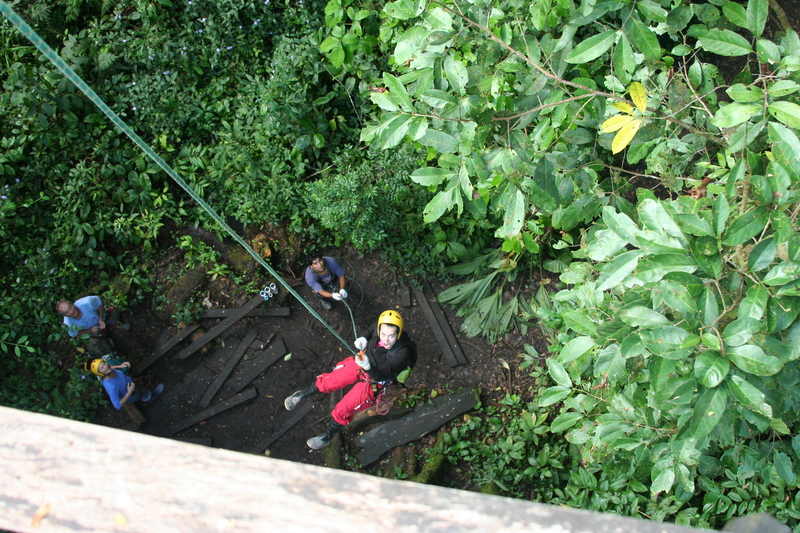 Once I was at the end of the rope line, I rapelled down the tree. Please excuse me for my looking very groovy with my bright red baggy pants, my bright yellow helmet, and my bed hair! They were my protection gear! My red baggy pants were a life saver as they kept the bugs away from my body! 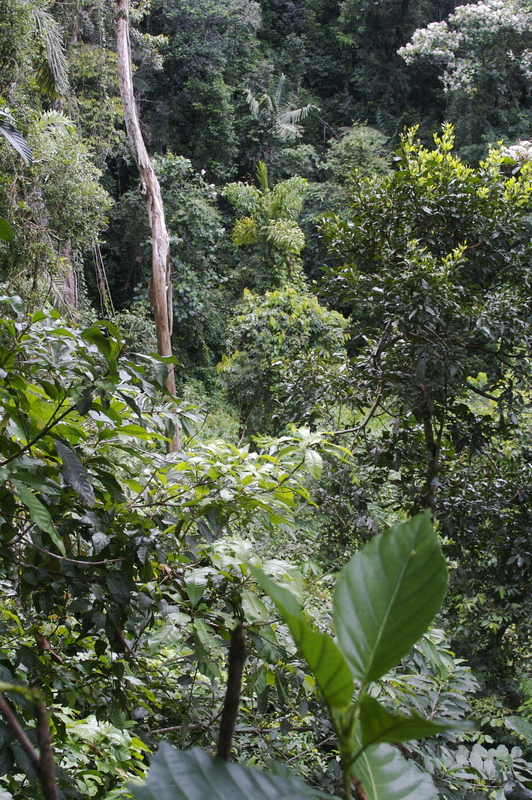 Plus, there was no point in my bringing a hairdryer and a hair iron to the rain forest with all that dense humidity! That was brilliant Rachel! Very cool job, I bet it was fun going along that rainforest top. You are traveling a lot!! Thats awesome! Cool videos, Rachel! Love the leaf cutter ants! We also did a zipline course in japan…wasn’t it the most fun ever? we had some pretty hard landings too!